Permastone is beautiful, durable, and affordable! 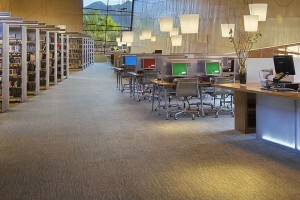 NAFCO by Tarkett flooring is a product manufactured in the USA in Florence, Alabama at a zero landfill factory. The PermaStone product available through American Carpet Wholesalers of Georgia is a popular product for both new homes and for rennovation projects.The manufacturer even recommends this product for kitchen or bath floor installation. Permastone is engineered to resist scrapes, scratches, and wear and is the beneficiary of NAFCO’s exclusive Tritonite urethane finish. It is a remarkable five times stronger than similar products that use normal industry standard surfaces. DIY projects are made easier with NAFCO’s GroutFit system that creates a natural and virtually seamless appearance, giving the finished floor a great mix of natural beauty and long lasting durability. The PermaStone product does have a pre-applied adhesive backing so all you need to do is ensure that the subfloor is in good condition and checking the manufacturers recommendations. American Carpet Wholesalers has a knowledgable staff that can answer many of your questions regarding NAFCO by Tarkett’s PermaStone. 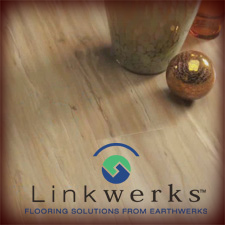 You can reach them at 800-548-2706 and tell them “FloorTalk.com” sent you!